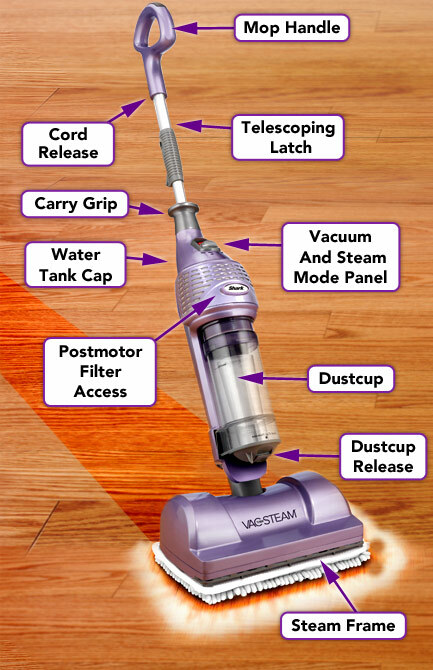 Your Shark® Vac-Then-Steam® is the complete hard floor cleaning system designed to make your life easier. This two in one system lets you vacuum up your loose dirt, then by simply attaching the pad of your choice and switching a button you're in mop mode and ready to deep clean your hard floors eliminates over 99% of germs leaving them virtually dry within seconds. 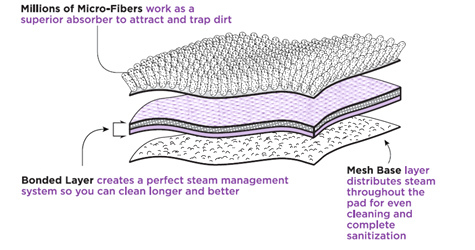 Thousands of micro-fibers attract and trap dirt and grime. SHARK® Heavy Duty Cleaning Pad conquers big jobs on all your bare floors surfaces with one pad!